If you've ever been prescribed physical therapy by your doctor your therapist may have utilized a modality called ultrasound. Most people hear "ultrasound" and think of the black and white images that outline a tiny little human forming in a uterus. Well, it's still the same kind of technology, just utilized differently. Therapeutic ultrasound consists of a transducer head that contains a crystal that vibrates at different frequencies. Ultrasound is a method of stimulating the tissue beneath the skin's surface using very high frequency sound waves, between 800,000 Hz and 2,000,000 Hz, which cannot be heard by humans. These ultrasonic waves that are absorbed by the various tissues allow for a deep heat to occur within these deeper tissues. 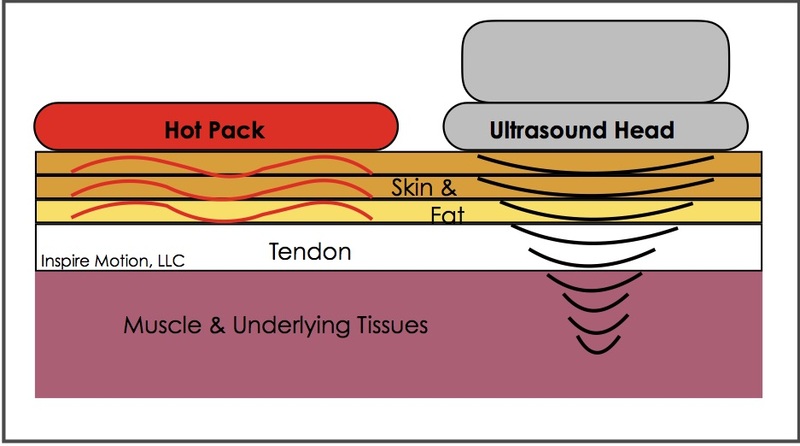 This method of heating the deeper tissues is more affective than a heating pad since that is a more superficial heat and will not penetrate as deep as the ultrasonic waves. Heating up these deeper tissues promotes blood flow which promotes healing. Since the ultrasonic waves penetrates to the deeper tissues the heat isn't always felt because the nerve tissues that perceive heat aren't as populated in the deeper tissues. Sometimes you do feel some warmth, but it shouldn't be too hot. From our experience with utilizing ultrasound we have found that if a slight calcification is present in a tendon such as a bone spur, discomfort can be felt with treatment. 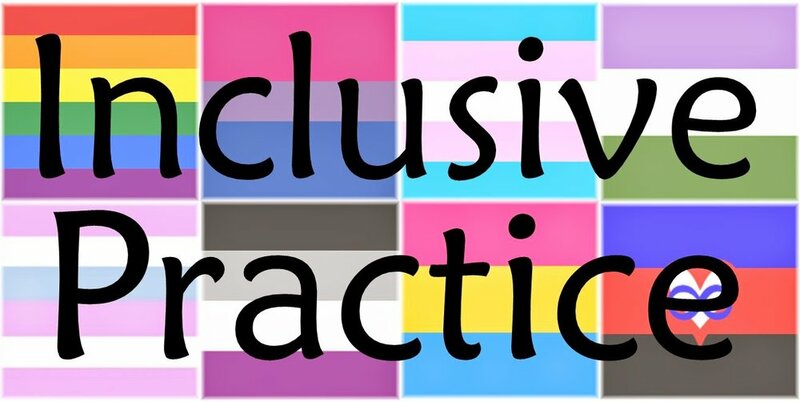 However, we have found that after several sessions of ultrasound this discomfort will decrease which we suspect is helping this calcification be reabsorbed. This is only from our own experience with treating chronic achilles tendonitis with improvement in pain level and increased activity. We have no evidence that the bone was reabsorbed. There is some research to show ultrasound treatment can improve pain from calcific tendonitis in shoulders as well [SOURCE]. Are you a Candidate for Ultrasound Treatment? If you've been diagnosed with any sort of tendonitis, bursitis, or other chronic tendon issues you may benefit from ultrasound intervention. This treatment is non-invasive, painless, and requires no effort on your part. The major contraindication with ultrasound treatment is metal implants (only over the site), pacemaker (only over the site), and metastatic cancer sites/other malignant tumors (only over the site). Feel free to contact us about how we can help you find the right intervention for you!